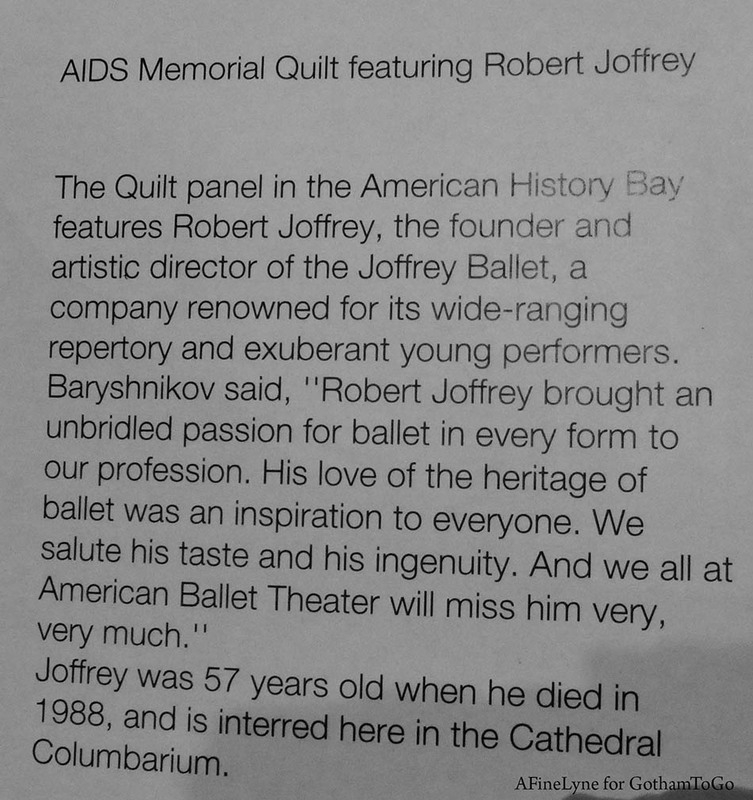 One of the pieces in the panel above honors Robert Joffrey, the founder and artistic director of the Joffrey Ballet, who is interred at the Cathedral. 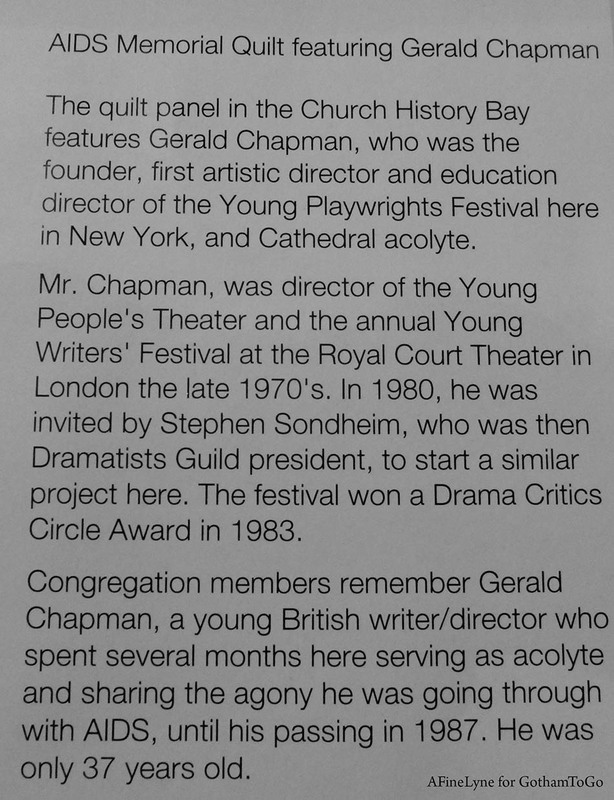 One of the pieces is the panel above honors Gerald Chapman, who was the Founder, first Artistic Director and Education Director of the Young Playwrights Festival. 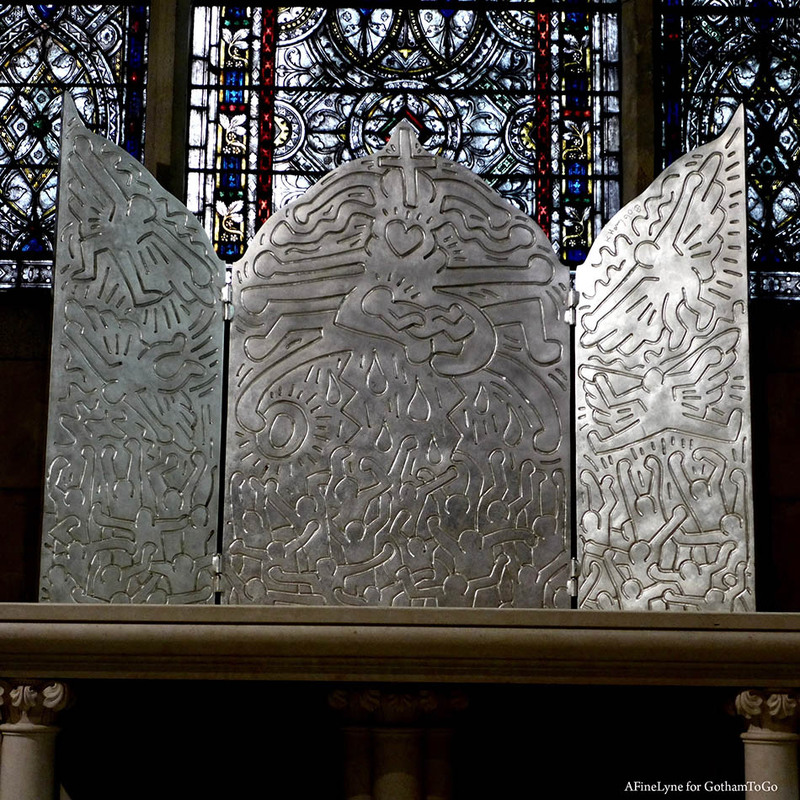 Close-up of one of the panel’s, above and below. 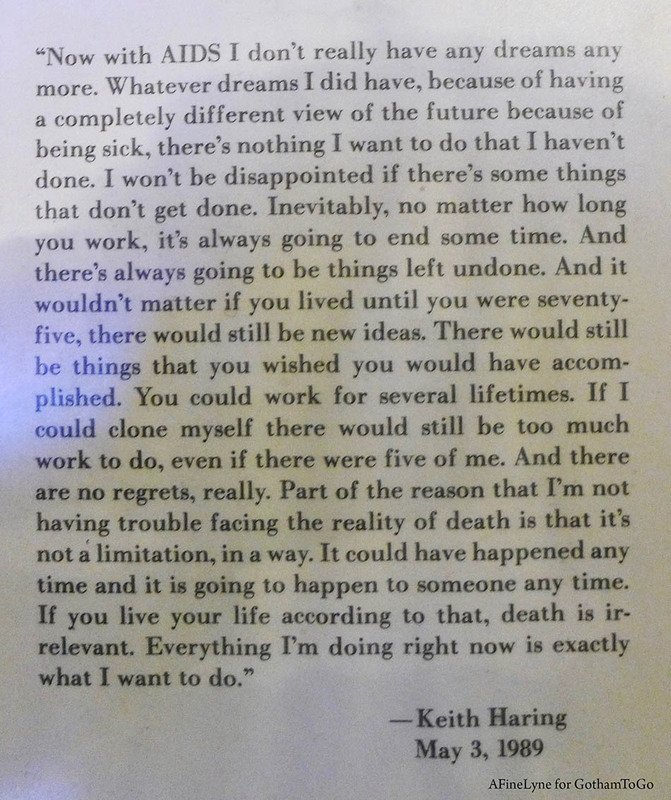 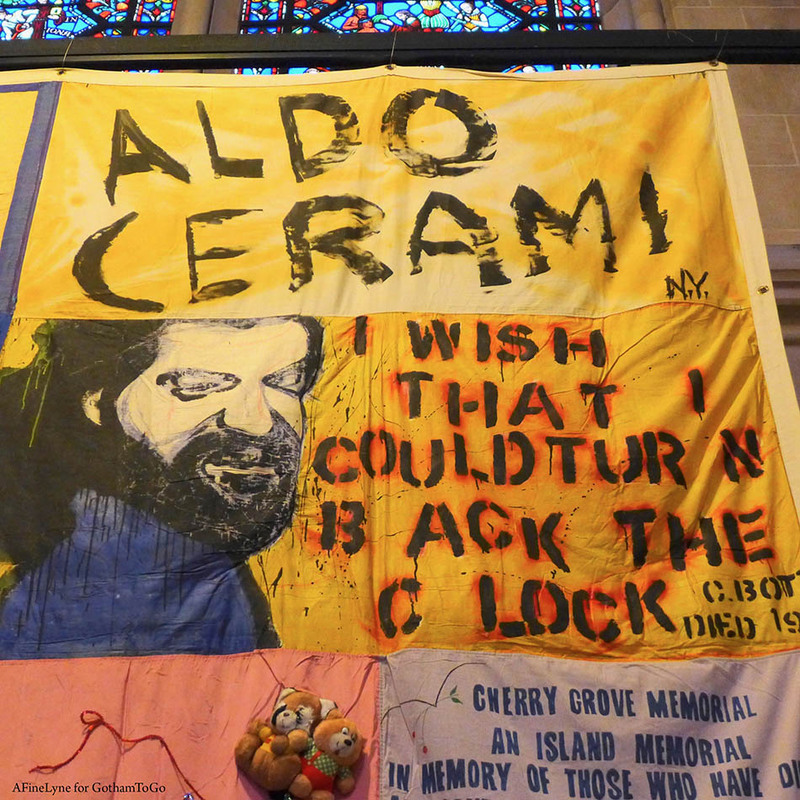 One of the pieces of the panel above, honors the artist Keith Haring, whose final work “The Life of Christ” (below) sits in the Chapel of St. Columba in the Cathedral. 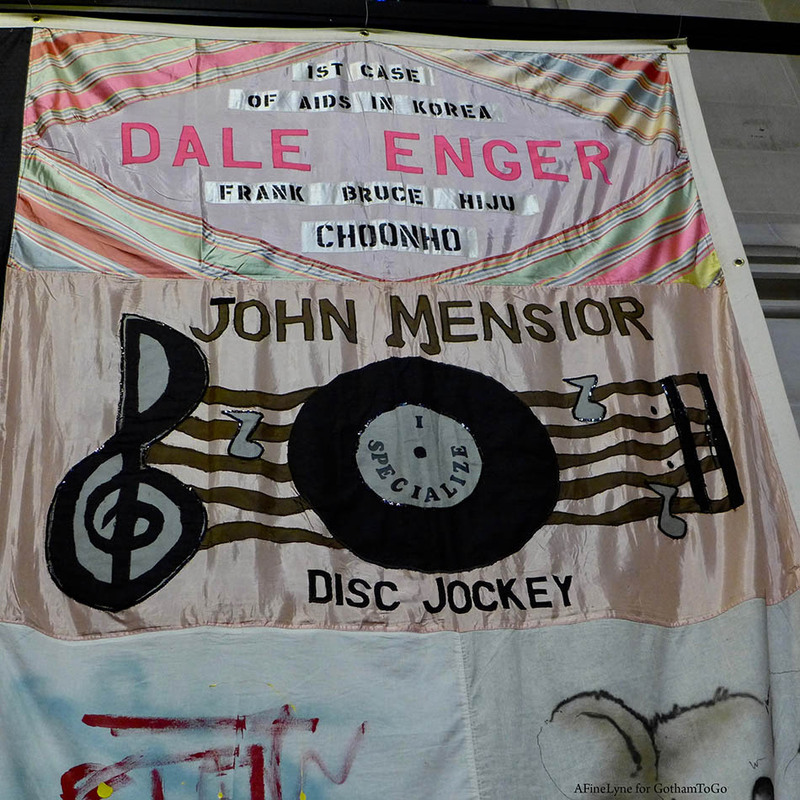 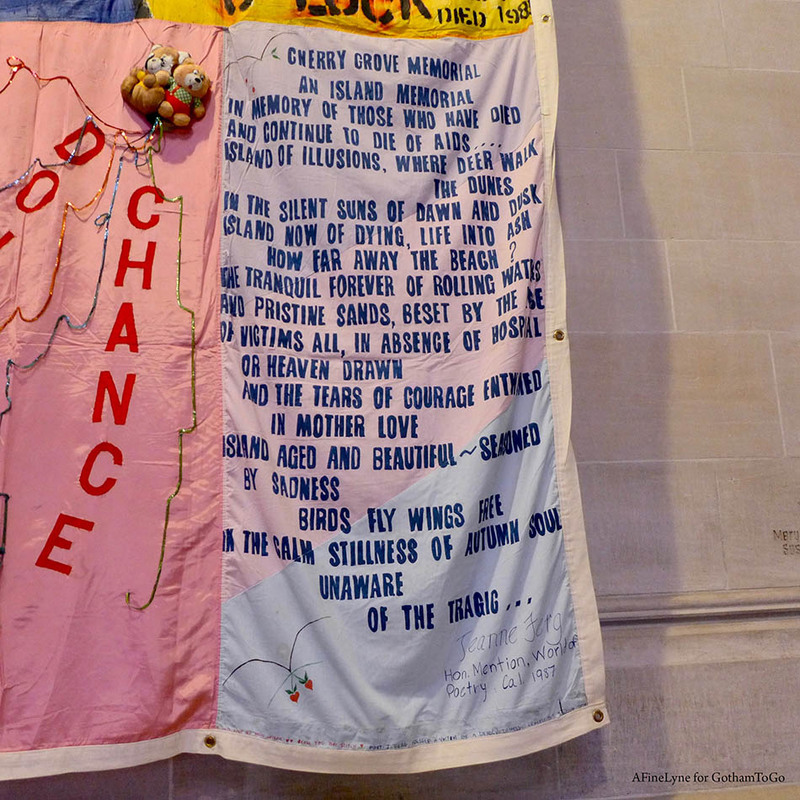 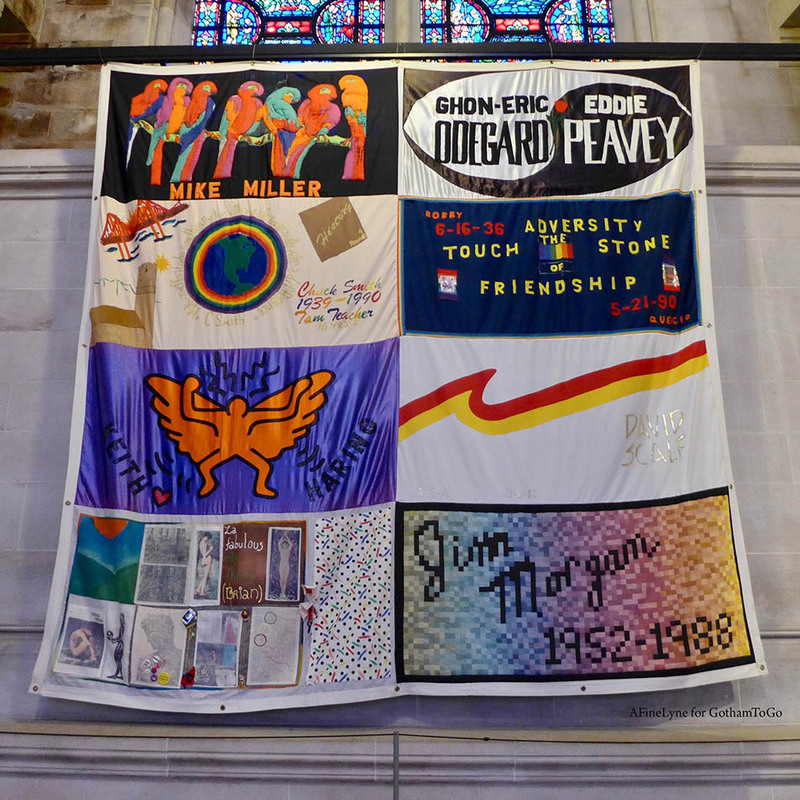 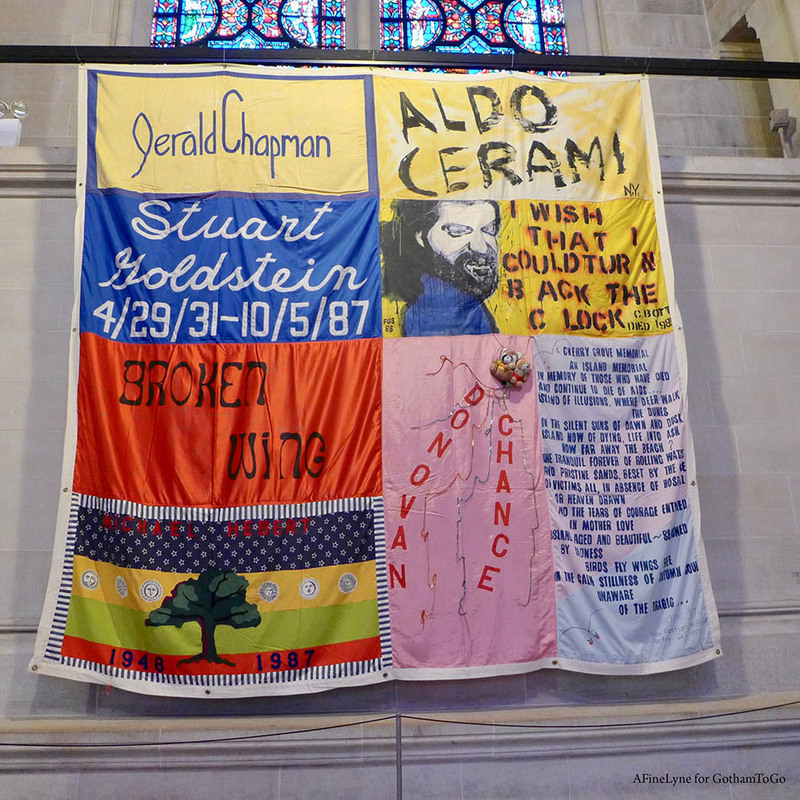 The three panels of the AIDS Memorial Quilt will be on view through November, 2018. 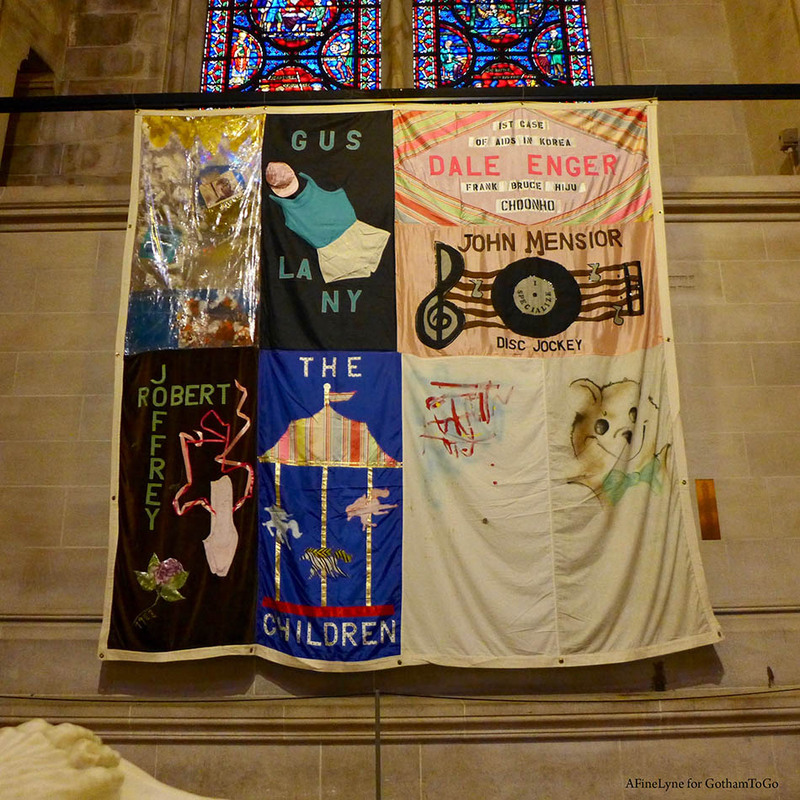 Unlike other renowned churches in our City, there is a fee to enter. 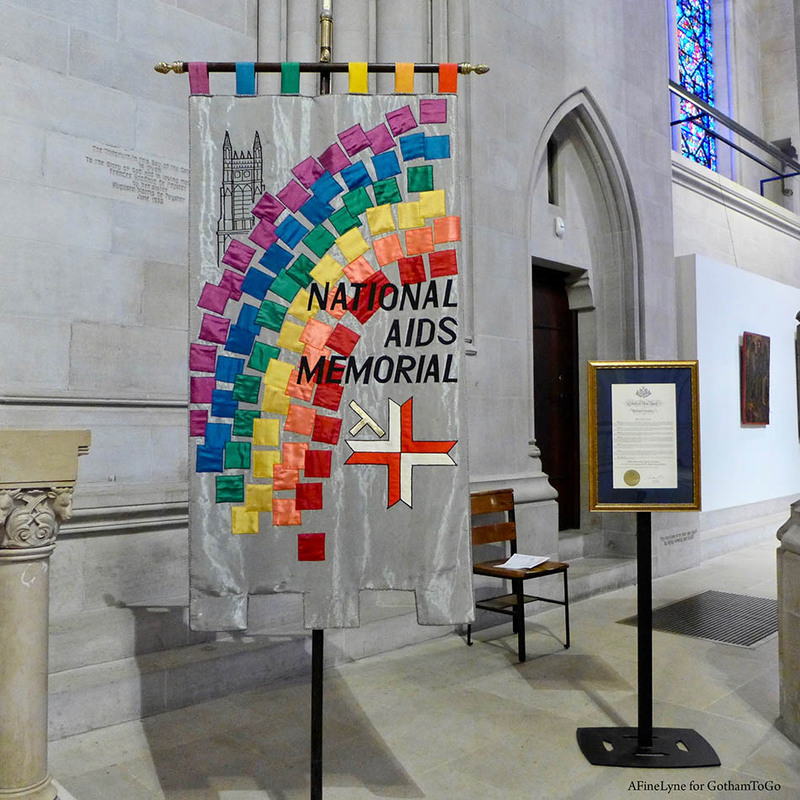 If you wish to go, the Cathedral of St. John the Divine is located at 1047 Amsterdam Avenue in Morningside Heights at 112th-113th Streets. 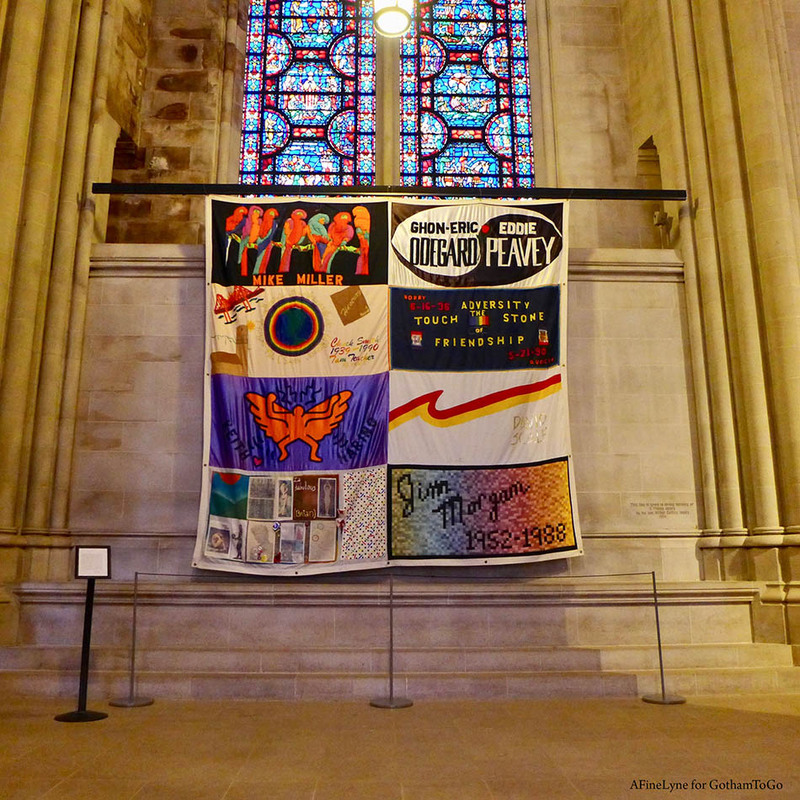 Previous Previous post: Gillie & Marc ~ The Last Three moving on….